I don’t know why, but the From column disappeared from the Outlook (2007) Inbox this morning. 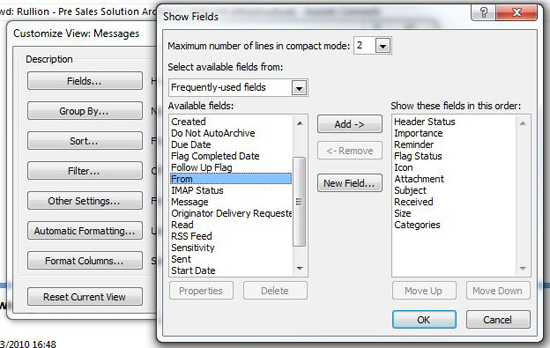 Should this happen to you, and you need to restore (or add/remove) a column to/from your inbox. 1. 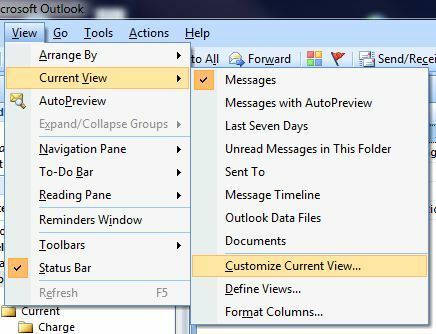 Within Outlook > Click View > Current View > Customize Current View. 2. Click Fields > Select From (Or the one you are missing/want). > Add > You can then move it up and down the list. > OK >OK. 3. You column should be restored.